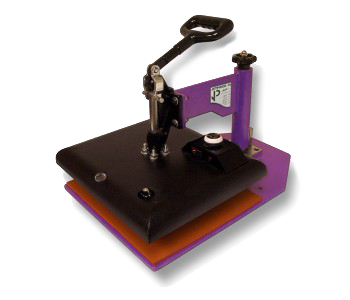 The JetPress machines are a heavy duty line of low-cost economical heat presses. They are intended for startups, home use, and non-production oriented heat pressing. The JetPress machines are ideal for ink-jet, bubble-jet, laser, copier and sublimation iron-on transfer paper users seeking professional quality imprinting results without the costs associated with commercial press equipment. These presses apply several hundred pounds of clamping force with little operator effort, providing the pressure needed for professional iron-on transfer results that last. They also provide the higher temperatures necessary for a successful transfer. Those who seek fast, consistent, and long lasting transfer printing results will find the JetPress line the perfect answer. 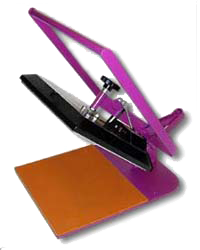 Professional results for a fraction of the cost of high end heat press equipment.